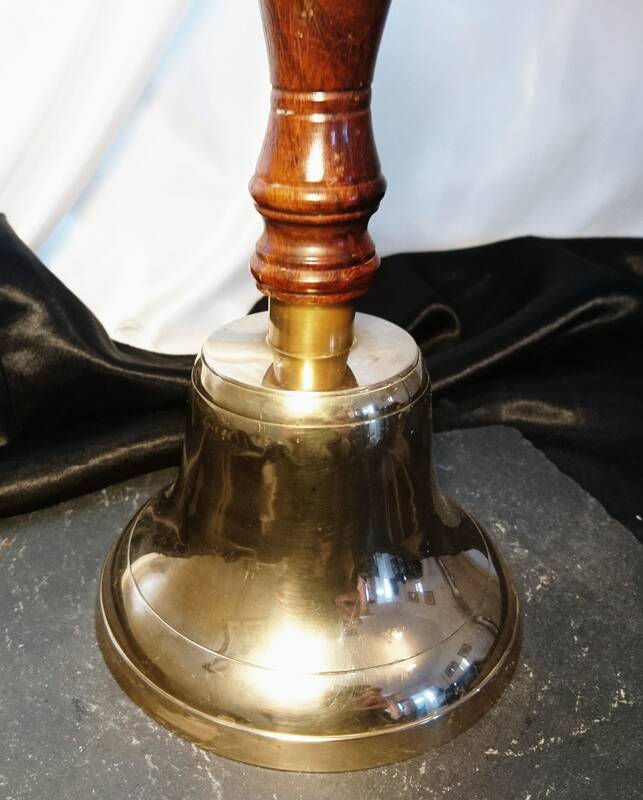 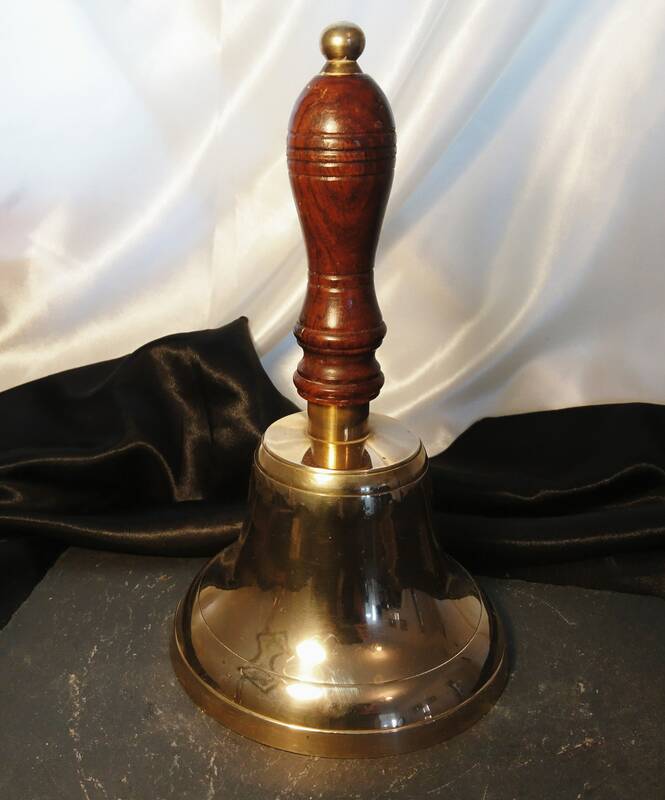 A lovely antique large solid brass bell, lovely and shiny gold brass with the original parts and a gilded brass ringer. 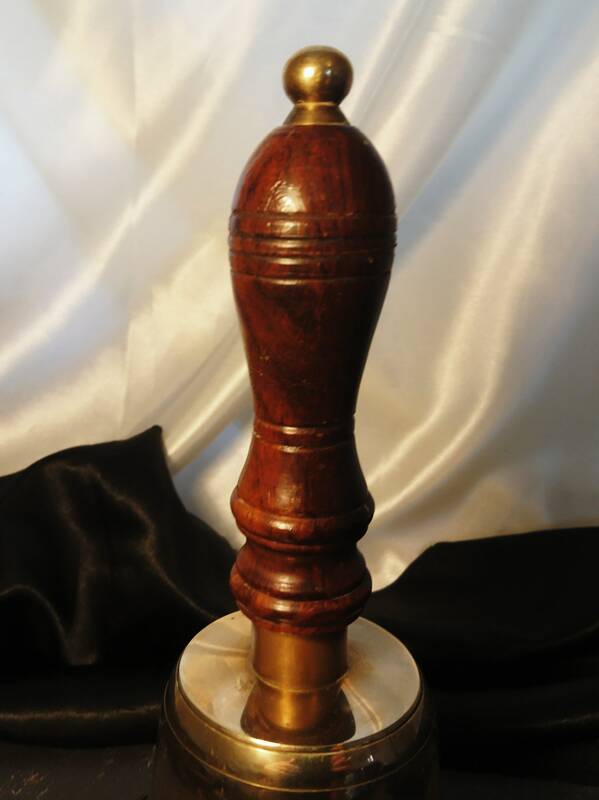 It has an attractive turned oak handle, stained and lacquered with a brass finial. 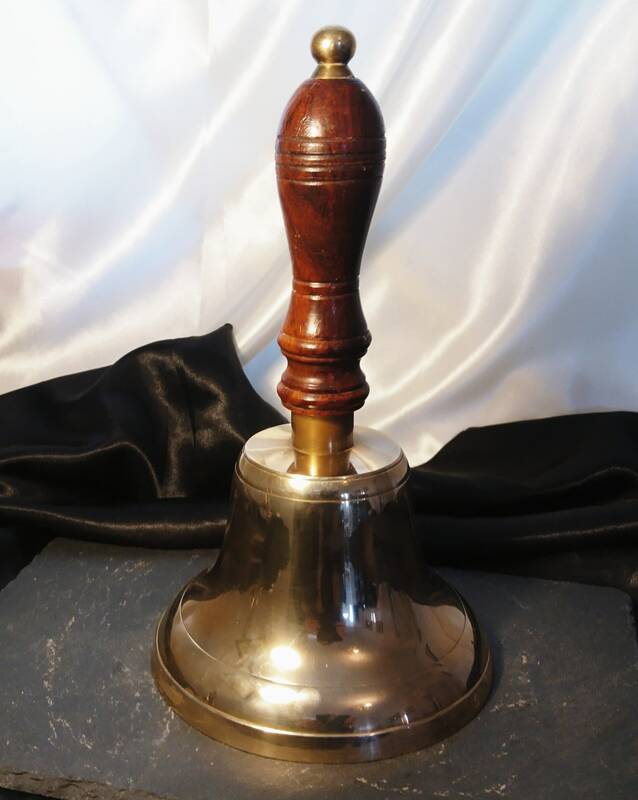 It is in very good antique condition and it has a very loud ring. 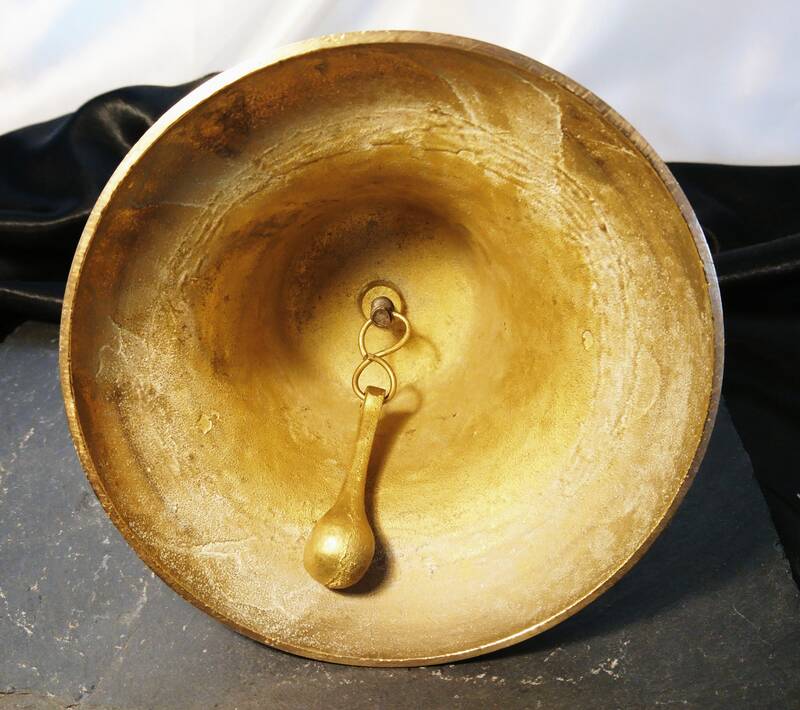 Approx 10" height and 6.5" diameter at the base.